The Intel HD Graphics 400 (Braswell) is an integrated graphics card in the low end SoCs of the Braswell series (2016 Celeron models). It is based on the same architecture as the integrated GPU of the Broadwell graphics cards (e.g. HD Graphics 5300), but offers less shader cores and slower clock speeds. It is a rename from the Intel HD Graphics (Braswell) card that included the faster 16 EU model in the Pentium SoCs. 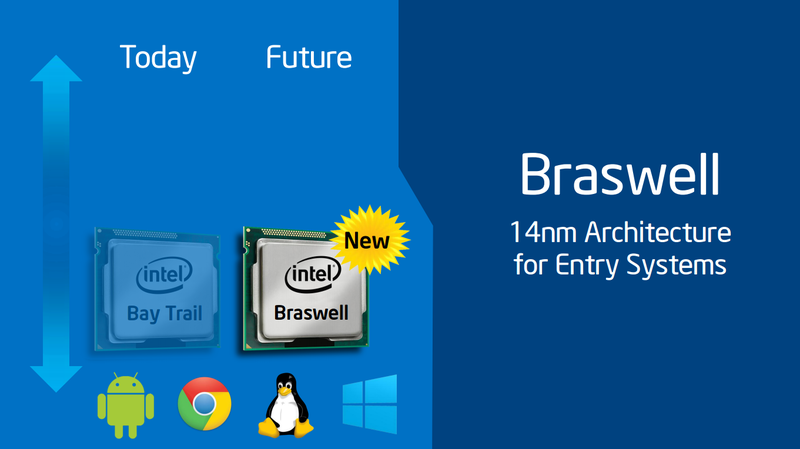 See the Intel HD Graphics Braswell graphics card page for benchmarks. The performance depends on the processor (different boost speed for the GPU) and the used memory. Gaming performance ist still only suited for older or less demanding games. Often also the processor is limited gaming performance (e.g. in the dual-core N3000). 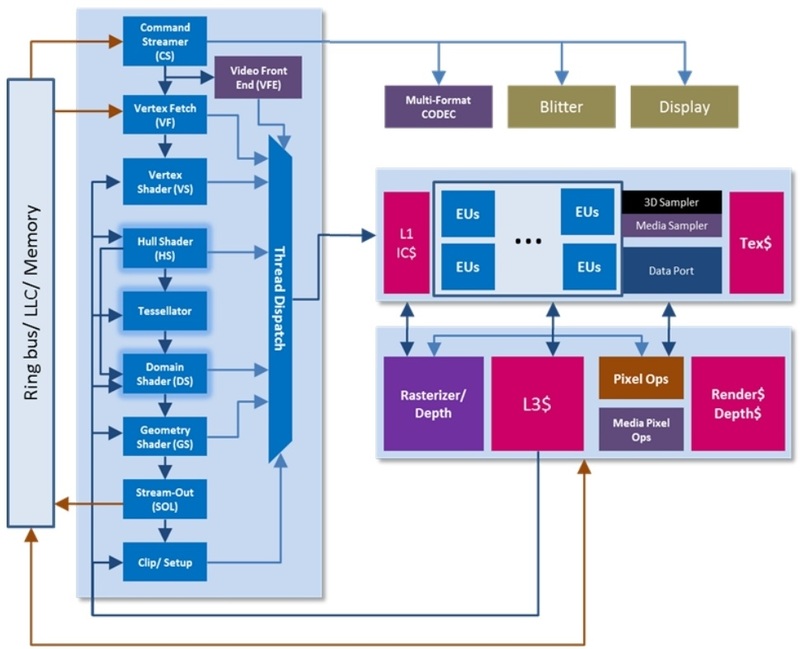 The SoC also integrates a video decoding engine that should be able to handle 4K H.265 videos. The Intel HD Graphics (Braswell) is an integrated graphics card in the low end SoCs of the Braswell series (e.g. Pentium N3700). It is based on the same architecture as the integrated GPU of the Broadwell graphics cards (e.g. HD Graphics 5300), but offers less shader cores and slower clock speeds. In the first CPUs the graphics card was only called Intel HD Graphics. Later (e.g. in the Celeron N3060) Intel renamed it to Intel HD Graphics 400 (Celeron with 12 EUs) and Intel HD Graphics 405 (Pentium with 16 EUs).